Please see this article for information on changing the IP address of the unit. 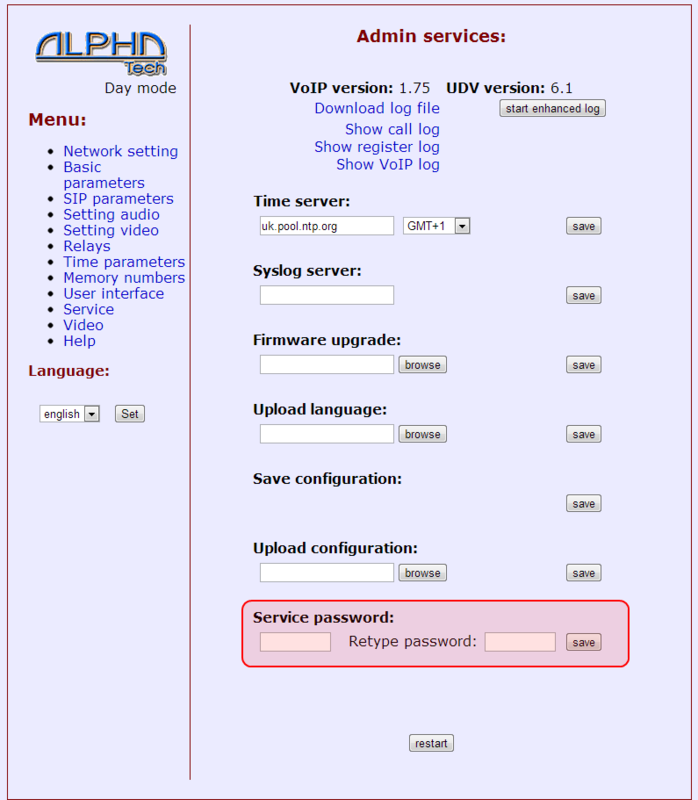 If you wish to change the web GUI password, click on Service and then enter the new password in the Service password section. Click Save to set the changes.